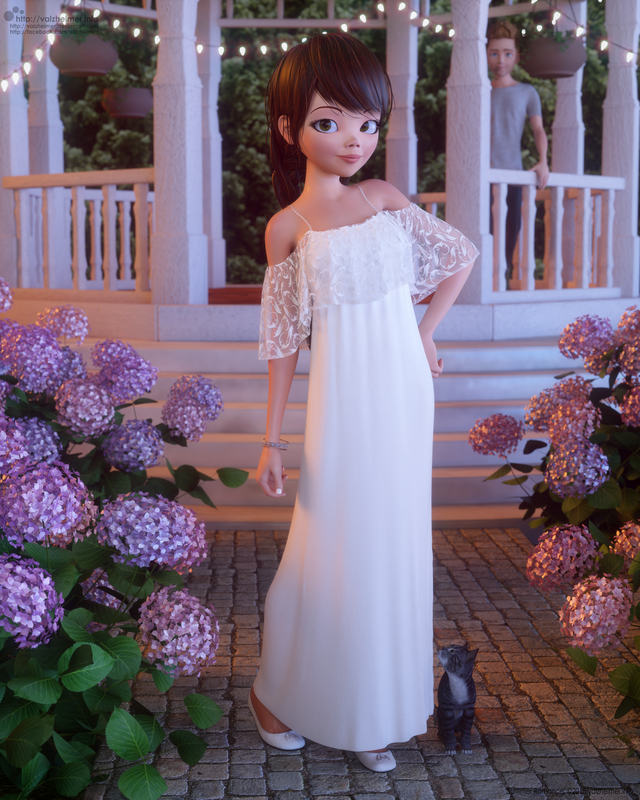 Image originally created for Elite Models 3D as a promotional showcase for dForce Long Gypsy Dress for G8F by Lully, available at Renderosity marketplace :) Hope you like. Image rendered using custom HDRI and mesh lights setup in Octane plugin for Daz Studio. Dress draped using dForce plugin inside Daz Studio. Minimum edits in GIMP and Inkscape. RedSpecSSS shaders were used for skin and hair.